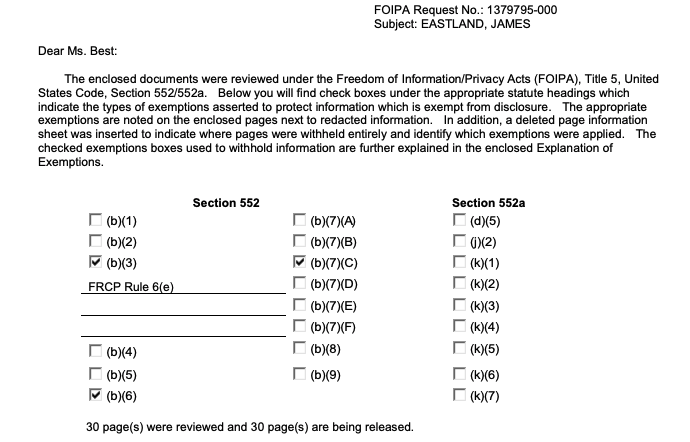 As part of a recent push to clear their FOIA backlog, the Federal Bureau of Investigation has released 30 pages of new documents on Senator James Eastland, adding to the 521 previously released pages. 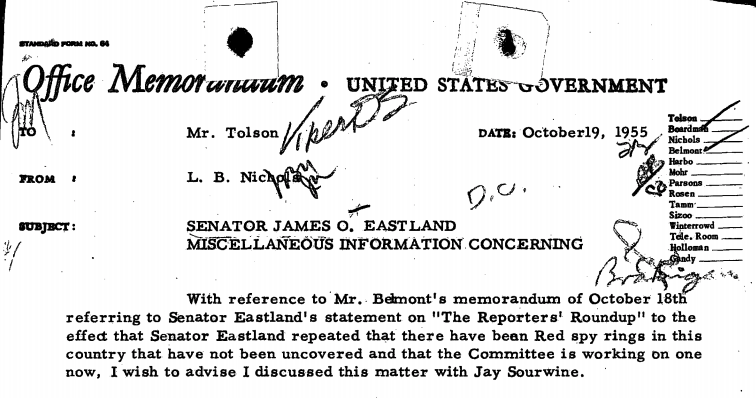 Among the new documents is a remarkable one-page memo suggesting that Eastland’s public assertion about “Red spy rings” were the result of the Senator confusing New York Times reporters with spies. The administrative memo from 1955 written as a follow-up to an inquiry from the head of FBI’s Domestic Intelligence Division about claims by Eastland about Communist spy rings in the United States that had yet to be uncovered. 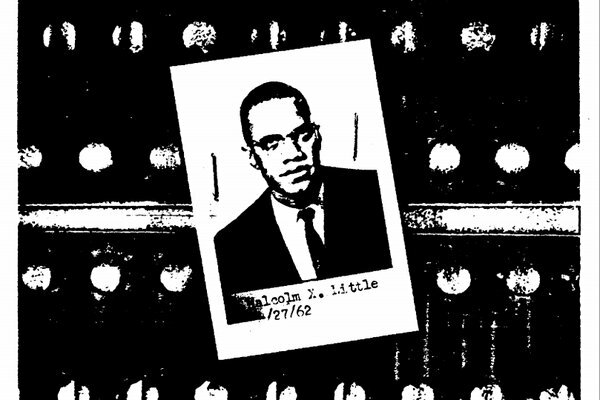 As a result, one of Director J. Edgar Hoover’s senior aides spoke with J.G. Sourwine, the aide to the Senator. 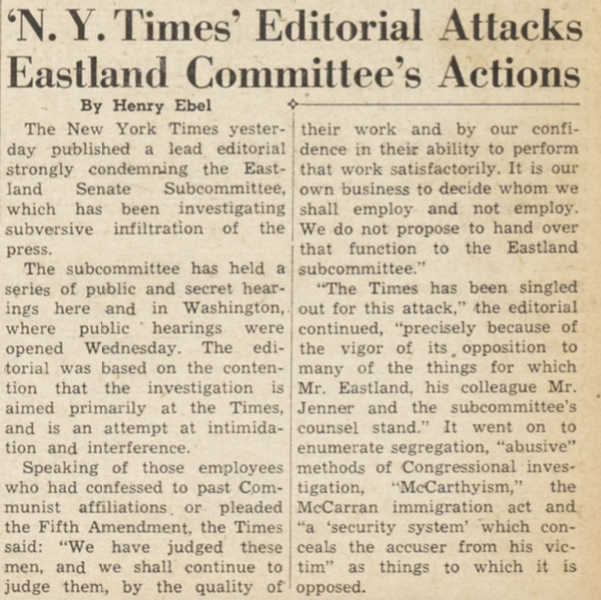 Hoover’s senior aides were happy to close the file on the issue, apparently either unconcerned or unconvinced of the Eastland’s accusations against the Times, despite the Bureau playing such a large role in McCarthyism that it could have more properly been called Hooverism. A new request has been submitted for the lengthy administrative file the memo is drawn from. Until the FBI responds, you can read the full document below, or more on the request page.